Wealthy homeowners who take out a jumbo mortgage to buy a high-end property must navigate a different rule book, but the terms are anywhere from good to fantastic if you qualify and play your cards right. The common perception is that jumbo-mortgage borrowers face much higher interest rates and much more rigorous lending standards. The claim about much higher rates, however, can easily be challenged because outstanding rates are available – especially if you are willing to accept an adjustable-rate mortgage. A rule of thumb for jumbo loans says their interest rates are 1% higher than conventional loans, but this spread changes constantly (Please see the chart above showing the spread between jumbo and conforming rates from 2005 to today.). There are two good ways to show the higher cost of jumbo mortgages. 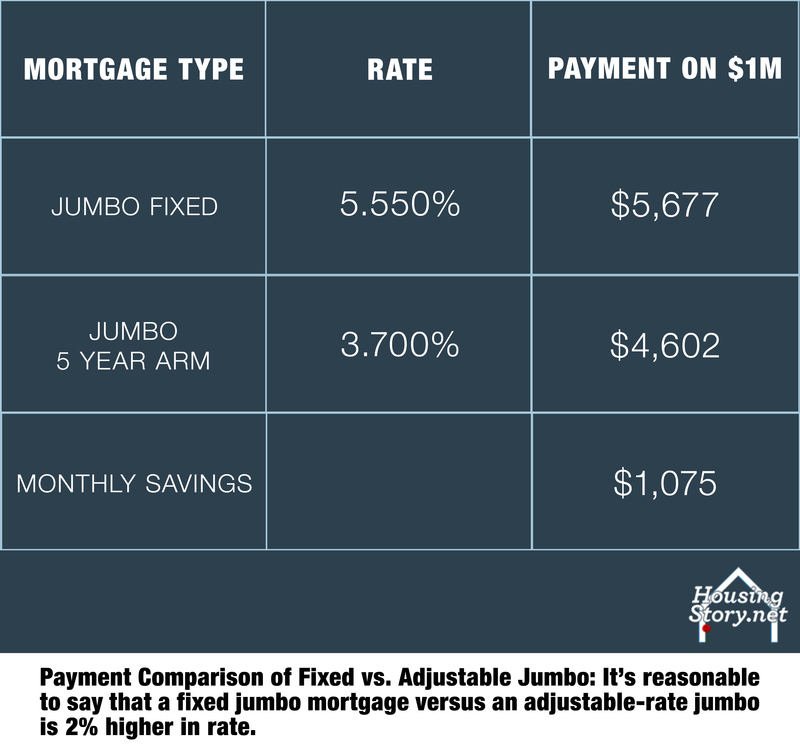 Check out the spread between a 30-year fixed-rate jumbo mortgage and a adjustable-rate jumbo mortgage. 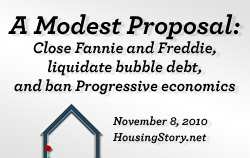 And check out an adjustable jumbo versus an adjustable conforming mortgage. A five-year-jumbo arm was 3.7% on the same day that a 30-year-jumbo fixed was 5.55% (Most of the research in this post is from October when rates were lower.). Both rates are from the same company with the same profit margin. It’s almost two percent cheaper for the arm. This huge spread is why I, as an originator, am strongly predisposed to suggest to clients that they use adjustable jumbos. The difference in rates is hard to get past. You guarantee yourself huge added expense if you insist on a fixed rate. If you are borrowing a million dollars, you save more than a thousand dollars a month with the adjustable rate (See the chart above for the specifics). The total savings is even greater because the lower-rate mortgage retires debt more quickly via an amortization schedule which skews payments toward principal retirement rather than interest expense. Compare a jumbo fixed-rate versus a conforming fixed-rate loan. I would charge 4.375% for a conforming fixed-rate loan on the same day I would charge 5.55% for the fixed-rate jumbo mortgage. The profit margin on the smaller loan is higher (two percent versus one percent), but the bank and I need a higher margin with a smaller loan amount. In this case, the rule-of-thumb which says jumbos mortgages are one percent higher in rate compared to conforming loans is almost exactly right (5.55% jumbo vs. 4.375% conforming). The Los Angeles Times reported in March that a 5.79% 30-year fixed-rate jumbo mortgage was close to a five-year low, and that the average jumbo-loan fixed rate was above 7 percent in late 2008. Today (early January 2011) a good jumbo fixed rate is 5.95%. The bottom line is that fixed-rate jumbo mortgages are very expensive when compared to rates on jumbo adjustable rates and conforming rates. The more important point is that jumbo mortgages are available with outstanding rates, but you have to accept an adjustable rate to get an outstanding rate. Let’s define high-end properties as those worth at least $500,000 and jumbo mortgages as having a balance greater than $417,000. Each individual market has its own criteria. Manhattan and San Francisco, for example, are in their own league. The limit of loans guaranteed by Fannie Mae and Freddie Mac is $417,000 and this is by definition not jumbo and not jumbo is called conforming. Anything beyond $417,000 is a jumbo. So the basics of the market are that loans below $417,000 have a government guarantee associated with them and they are therefore less expensive than private-bank loans. Those obvious differences between jumbo and conforming (greater or less than $417,000) have broken down inside of the financial crisis. Exceptions are now made for many high-cost markets. Mortgages there top out at $729,750 and they still qualify for the federal-government subsidy. Some key counties with high loan limits include the most expensive cities in New York, New Jersey, Massachusetts, Washington D.C., and California. Jumbo borrowers receive subsidized loans in those high-cost markets, but outstanding terms are available from banks lending their own money in all jumbo markets. Equity is a key factor, and the widespread perception is that high-LTV jumbos are not available. There is, however, at least one high-LTV jumbo lender which is very active today (U.S. Bank). That doesn’t mean it will last. Many consumers assume they cannot refinance a jumbo because of inadequate equity, but LTV’s up to 90% are available in almost all states – except for sand states which have experienced huge foreclosure activity; namely, Arizona, California, Florida, Michigan, Nevada. My cap in the sand states is 80%. Banks normally require down payments of at least 20% to 30% or more on jumbo loans. 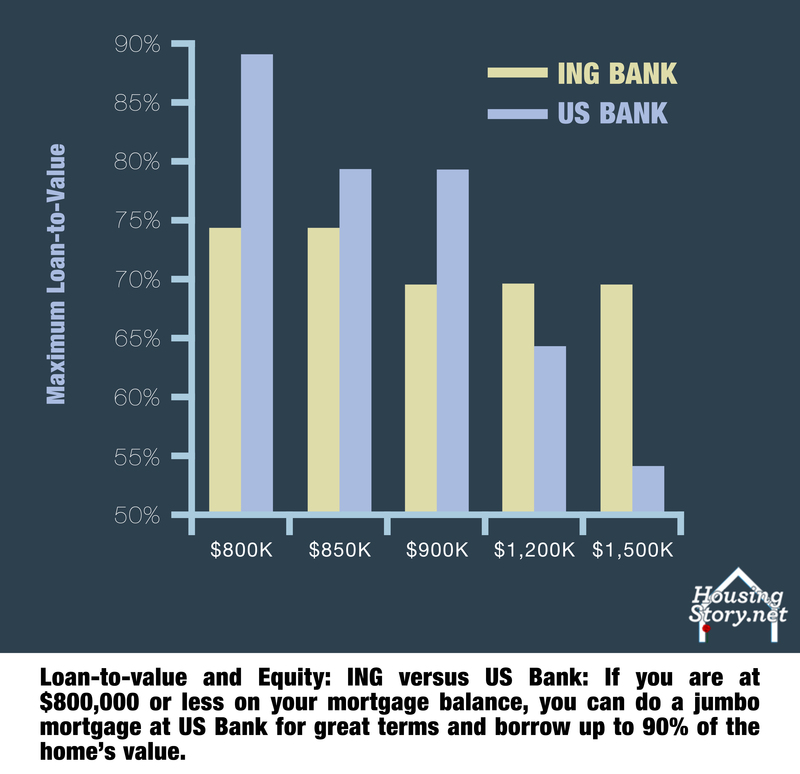 It’s true that high equity requirements are killing refinance applications and taking buyers out of the purchase market for expensive homes (Please see the chart above with equity requirements for ING loans & US Bank), but the US Bank loan-to-value chart is surprisingly liberal and proves that the rule of thumb does not always apply. 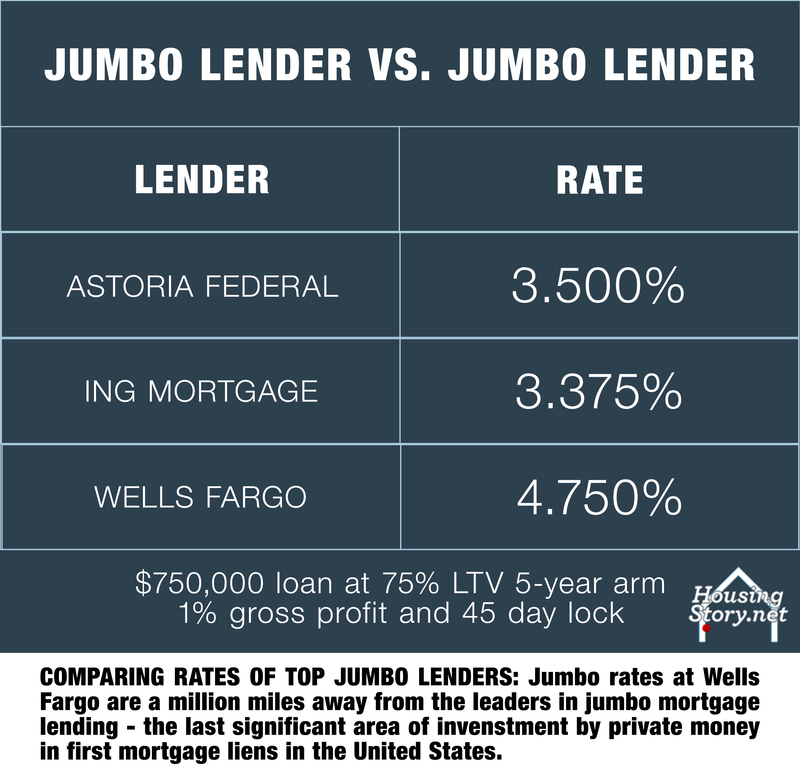 The leading lenders for the last few years in the jumbo market are Astoria, ING and U.S. Bank. They offer jumbo-mortgage terms superior to other lenders (If you are aware of other lenders with outstanding jumbo-mortgage terms please forward the info to me so I can include it here.). The most surprising part of these outstanding terms is that these banks actually keep the loans they make. 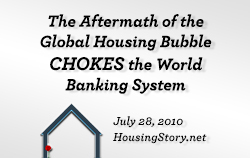 In that sense Astoria, ING and U.S. Bank are the step children of the mortgage market today – they are banks that lend money to mortgage borrowers. Astoria, ING and U.S. Bank are examples A through Z to demonstrate that a private market is capable of functioning in the mortgage world (Please see the chart above and compare the rates of our too-big-to-think banks and real banks – banks which lend their money so that they have loans on their balance sheet which earn interest — like a bank.). Very few banks are mortgage lenders today because they don’t keep any of their loans. This strange fact brings up perhaps the most critical matter for the reader who wants to buy a home. In at least nine of ten loans made today, the lender is not a bank but it is the federal government. Another stat says the feds are behind 97% of new mortgage loans. 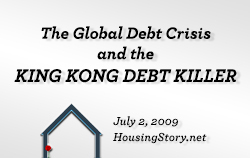 From my standpoint, as a mortgage originator, government loans are the only game in town except for the jumbo market. It makes you very aware of how screwed up and backward the economy is when you think about it seriously. Should the government exit residential mortgage lending tomorrow, then in the next six or 12 months property prices would fall nationally by 50 percent or more. 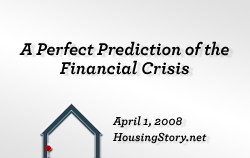 This extraordinary underlying risk is something which you must study and come to terms with if you are going to buy a home – cheap, expensive or in-between (For a strong simplified macroeconomic view of residential real estate, please see 10 Key Charts To See Before You Buy or Sell a Home.). You don’t have to worry about the government exiting mortgage lending, but you do have to take into consideration that market forces may overwhelm and defeat the government’s attempts to support housing prices. Huge losses in value are possible – even after the huge losses in value we have already experienced. If you are thinking about getting up close to and buying a $1 million or $2 million house, please study the previous sentence (“Huge losses in value are possible.”). It tells you something nobody else knows. And if you know something nobody else knows, you will have attained a secret. 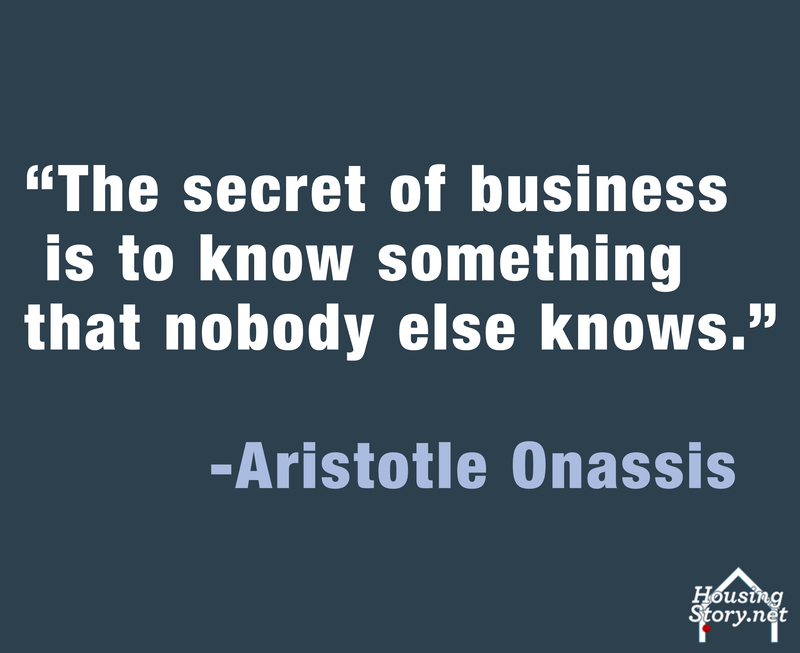 You need a secret to make a great investment or to avoid a bad one (See quote above from Aristotle Onassis.). Probably if you are reading this your mind is already made up on buying a home. Let’s take a look at what jumbo mortgages go for. 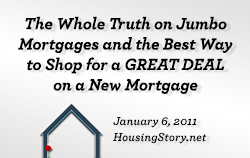 Today (early January 2011) I’m doing free jumbo mortgages at 4.2% for 5-year arms. By free I mean I am planning on paying at least $3,000 of closing costs. The rate will vary based upon loan size, equity, and the property state also is a huge variable. Some states have very high title or tax costs. 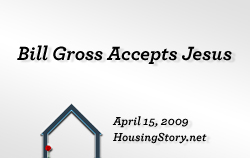 I recently closed a jumbo mortgage in Virginia, for example, and paid more than $7,000 of close costs for the borrower. Of that amount, $5,000 was title charges. In that case it wasn’t the bank ripping off the borrower. It was the title industry in that state ripping off the borrower, the lender, and all parties but itself. Using a 3-year arm, we were still able to close in the 3’s and the LTV was 90%. The best way to compare loan offers in the jumbo market is to tell your loan officer to quote you a free mortgage. It’s not a complicated concept. If the banker asks you what you mean by a free mortgage, tell him you want the bank to pay for title, appraisal, transfer taxes, and all lender fees. You will know immediately if you have an honest loan officer if he makes this simple request complicated or if he will not provide the answer. If the officer makes this request difficult, hang up the phone and try someplace else. When you are shopping for a loan, I highly recommend the Zillow Mortgage Marketplace website. Put in the basics of your loan specs here and you will get back anonymous quotes. While you can see the lender’s name and his quote, the lender has no way to see your name and has no way to contact you. After you review quotes from three or five or dozens of competing lenders, if you like a quote, check out the loan officer’s record with previous Zillow clients. If the lender has a good track record, request a detailed written quote or call the loan officer. You will have a good or great refinance or purchase if you choose a lender this way. The other primary sites for quote information are Lower My Bills and Lending Tree. I strongly advise against going anywhere near to these sites. They are little more than herding agents for boiler rooms. They sell your contact information to a ton of loan officers. You will want to cancel your phone and move to a new address just to stop the unrelenting wave of unwanted calls. Don’t get suckered in to their sucker’s game. Avoid them like the plague. 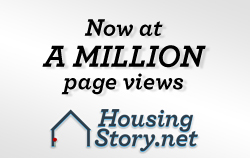 The two best sites for information about interest rates are HSH Associates and Freddie Mac. And don’t forget to do a gut check on your loan officer. The reason most people pick a bad mortgage officer is that they don’t ask the right questions: Is this person honest? Will they do a good job for me? Are they trying to help me or themselves? Don’t pick a loan officer because they say nice things about you. If they are playing on your vanity, they are using you. 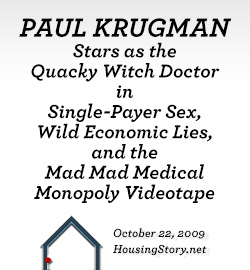 If they are educating you about mortgage loans, then they are doing their job. If they tell you about what could go wrong when you put in the application, then they are putting you ahead of themselves — because every sales person knows many people can’t stand to hear bad news and they will go elsewhere and find someone where all they get is good news. If you are a person who can only tolerate good news, then you create the life and well being of the flim-flam artists. They will fulfill your needs. Honesty is the best policy. Insist on it. It’s not that hard to figure out. Ask the right questions. If you find somebody who is honest and pursues your goals and fights for you and lives up to their word then tell your friends. You have the right person. 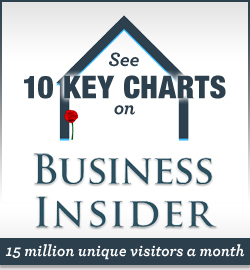 Thanks for carrying the story to Business Insider, Seeking Alpha. Michael David White, a contributor to Business Insider and Seeking Alpha, originates mortgages in 50 states.